The intense beating of drums followed by singing and dancing will welcome you as you enter the sleepy fishing village of Hopkins. Hopkins Day is this weekend and everyone is invited this Friday to Sunday, July 27th - 29th 2012. 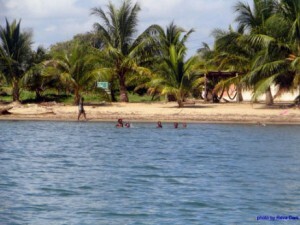 “Hopkins Day” celebrates the existence of one of Belize’s villages known for its Garifuna culture and golden beaches. The celebrations will kick off with opening ceremonies on Friday night at 7:00 p.m. at the village’s basketball court. The night will showcase various cultural activities, and there will be plenty to eat and drink. On Saturday, July 28th, experience the “Battle of the Drums”, along with a number of entertaining games like dancing and eating contests. The night will come alive with a “Punta Fest” that ensures to have everyone dancing the night away. Bands from all over the country are expected to participate. On Sunday, the village will host a family day where everyone can relax and just enjoy being with their families. 2012 marks the 12th year Hopkins Day has been celebrated. Everyone is invited to join in the celebrations and one of Belize’s growing tourist destinations.